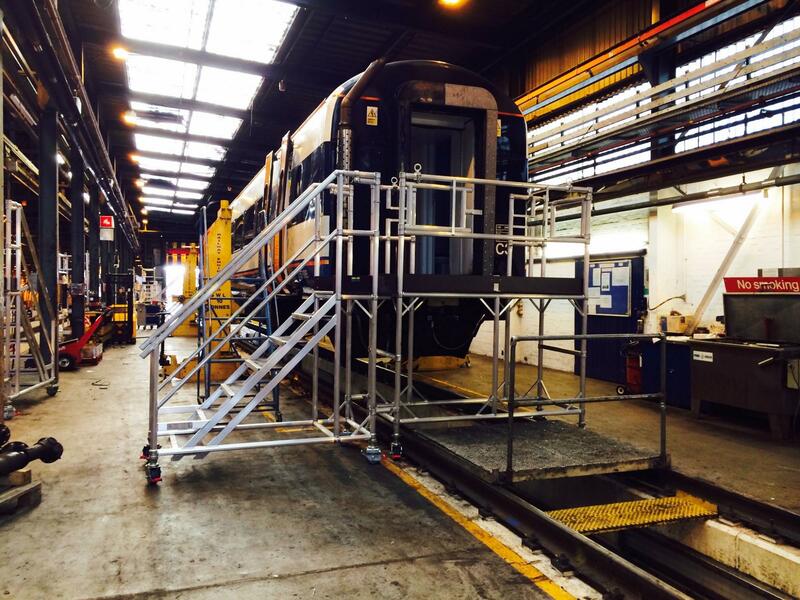 Working closely with train operating companies we have designed and supplied access platforms to reach almost every conceivable part of a train and have helped make the UK train maintenance industry one of the safest in the world. 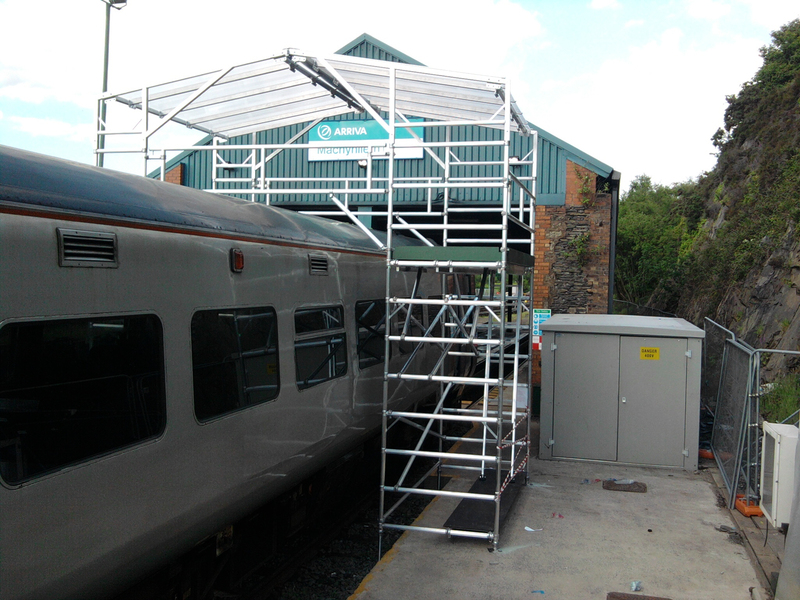 Our comprehensive range of fixed and mobile access solutions are designed to meet the diverse maintenance requirements of the modern train care industry and include access platforms for roof access, front of train access, side access as well as maintenance steps, pit boards and door bars. 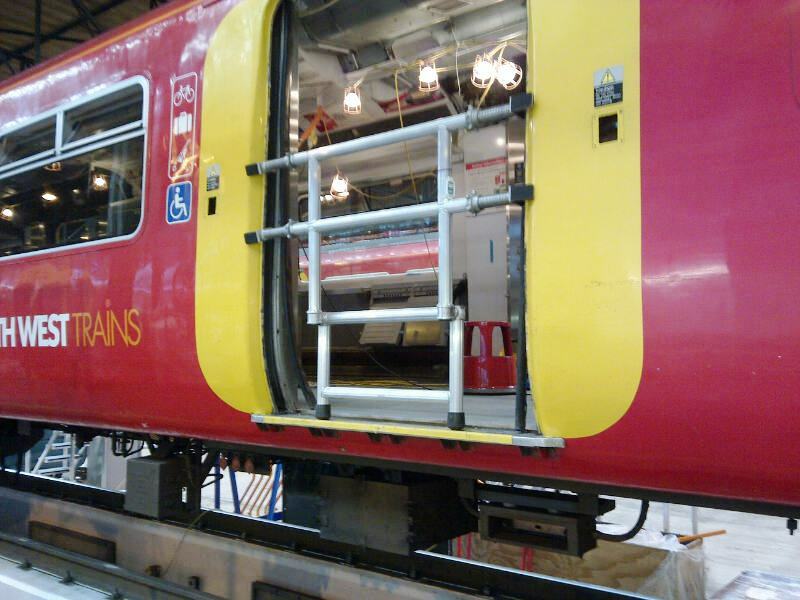 Our latest innovation has been the ‘train evacuation bridge’ which we have developed in partnership with UK train operating companies. 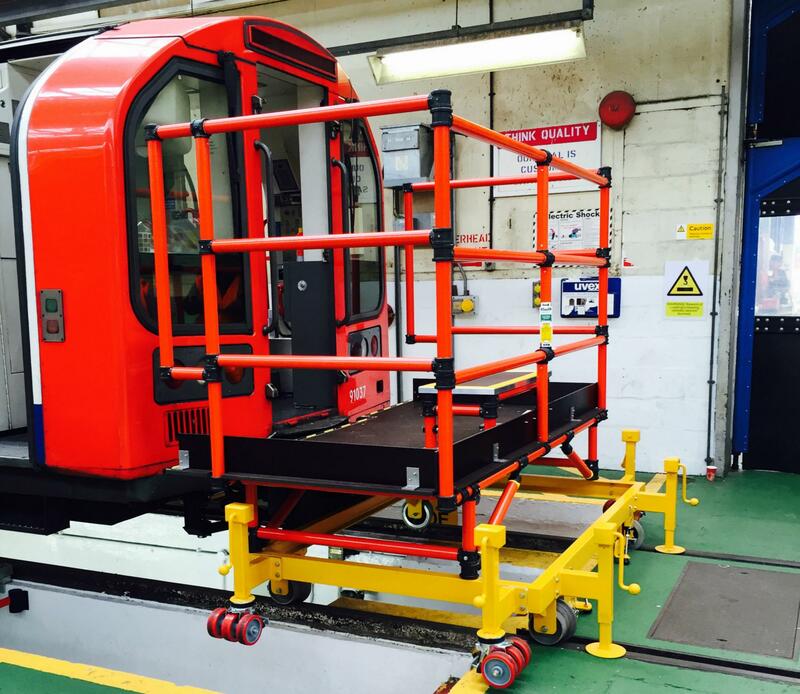 This has revolutionised the method is which passengers are taken off trains in the event of a break down . For general depot building maintenance, our range of Genie powered access platforms are the ideal solution. 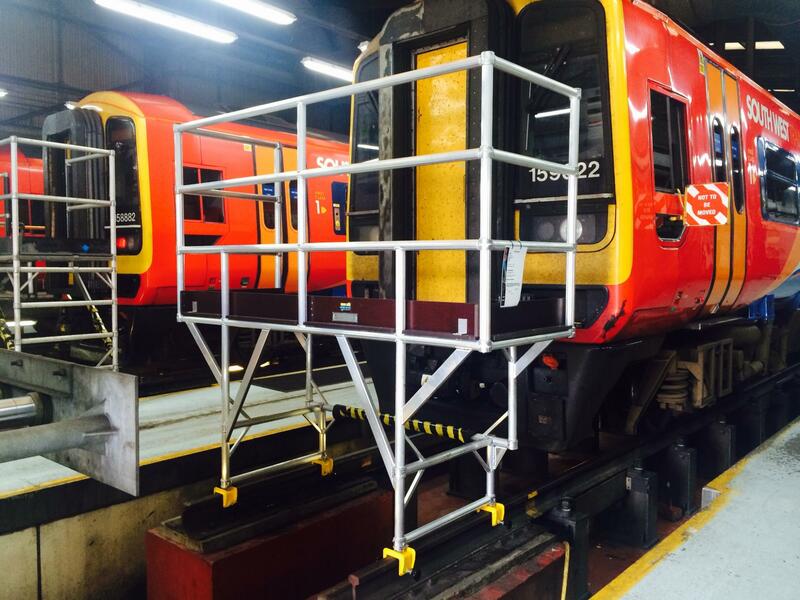 Battery powered compact scissor lifts and narrow width boom platforms are the preferred choice with train care depots with our Genie GS-1932 scissor lift, and Genie Z-30/20NRJ boom access platform being the most popular. 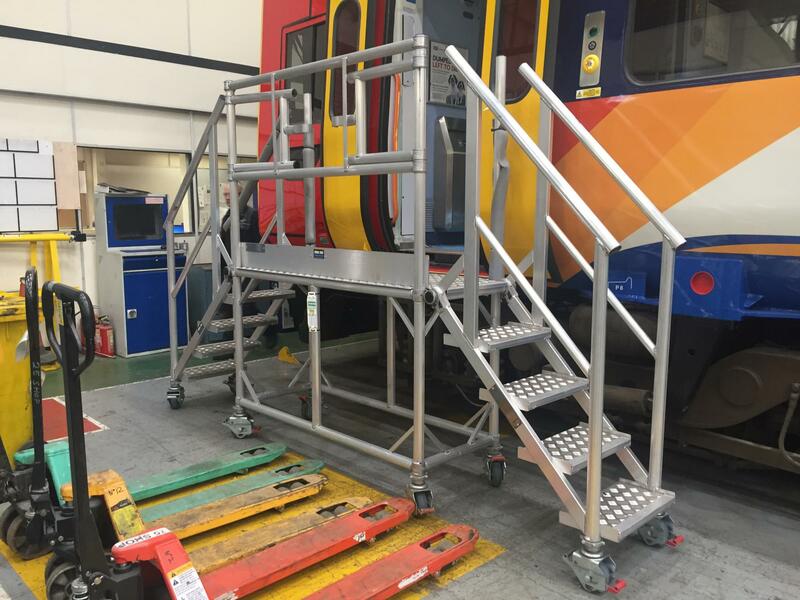 DO YOU NEED HELP DECIDING WHAT IS THE BEST ACCESS PLATFORM FOR YOUR REQUIREMENT? One of our expert friendly advisors can help you make the right decision and choice on your access platform.